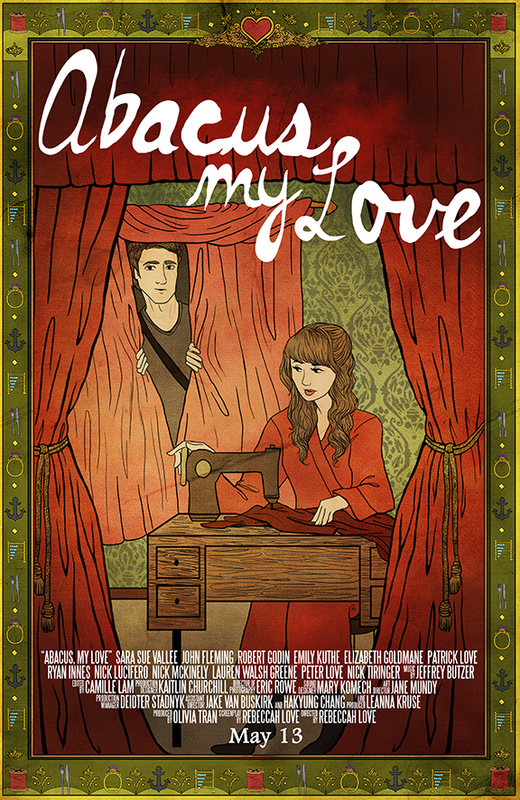 Hot Docs Cinema will screen ‘Abacus, My Love,’ a new film by local filmmaker Rebeccah Love on May 13. We’ll be there! ‘Abacus, My Love’ is a Ryerson thesis film. Bilingual, metatheatrical and uplifting, the story weaves its way through a mysterious theatre, layering performance on performance, stage within stage, until the curtain line is spoken. An Anglophone thief, Guy, falls in love with a French Canadian seamstress, Elle, whose father, Papa Monsieur, has imposed a strict suitor’s quest. With help from the seamstress, the thief jumps into the play, altering the course of the story. The film is directed by Rebeccah Love and produced by Olivia Tran, both Toronto-based filmmakers. It is screening at the Bloor Hot Docs Cinema at 7:30 pm on May 13th.